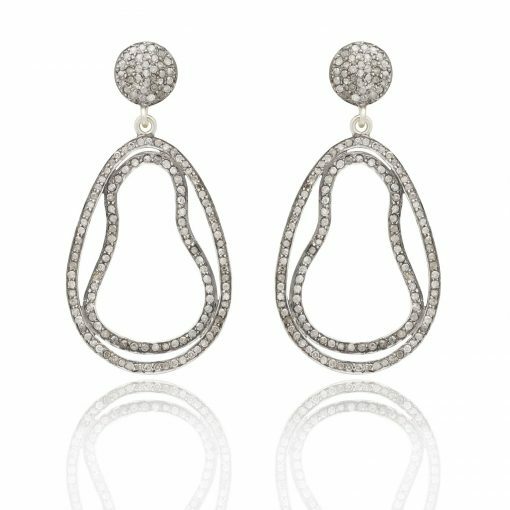 A slightly more contemporary pair of Victorian inspired earrings set with single cut pave diamonds on 925 oxidized silver to give an old feel and ear backs all in 14 kt gold. 0.600 carat single cut pave diamonds; 0.90 grams 14 kt gold; 8.150 grams silver. 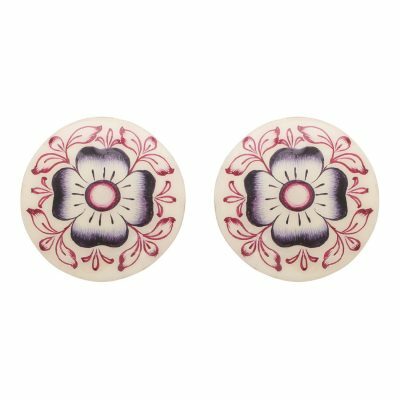 Very light weight for pierced ears; 4.8 cm in full length. 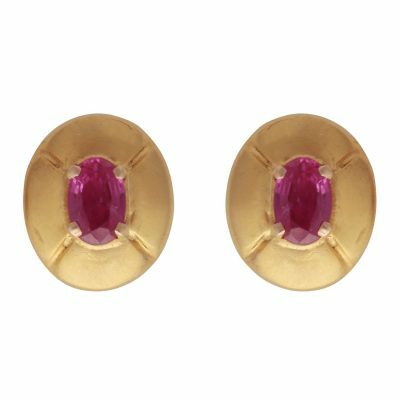 Inspired by the timeless jewel pieces from the Victorian and Mughal era with a slightly contemporary take. 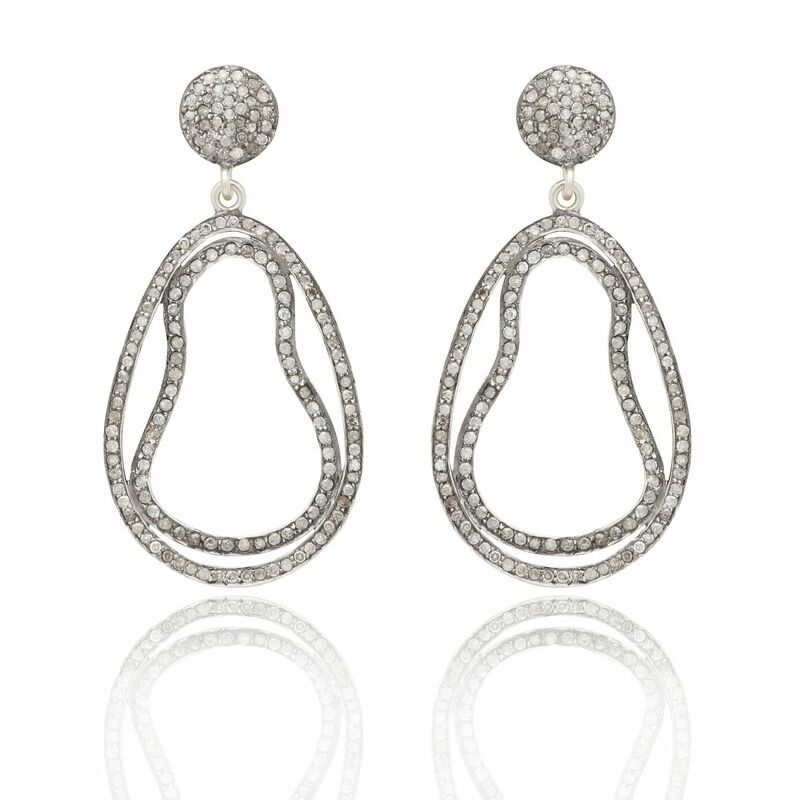 A very pretty and easy to wear pair of earrings set with single cut pave diamonds and emeralds. Set on 925 oxidized silver to give an old feel and ear backs all in 14 kt gold. 0.934 carat emeralds; 0.240 carat single cut pave diamonds; 0.90 grams 14 kt gold; 5.196 grams silver. 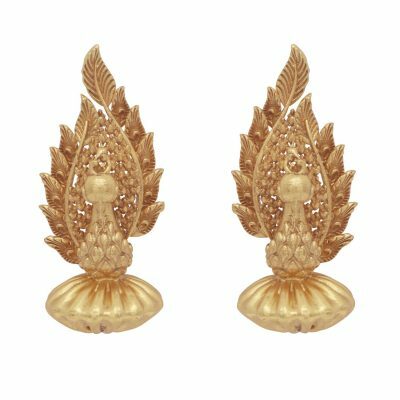 Very light weight for pierced ears; 4.5 cm in full length. © 2017 Kastur Jewels. All Rights Reserved. Sign up below to be the first to know about new products, latest news and upcoming offers. Thank you for subscribing, please check your email for confirmation.